We, humans are the most expressive creatures in the world, even the most introverted! We make use of both spoken and written words to convey our message across. The art of aptly describing what’s on your mind boils down to your writing or speaking abilities. 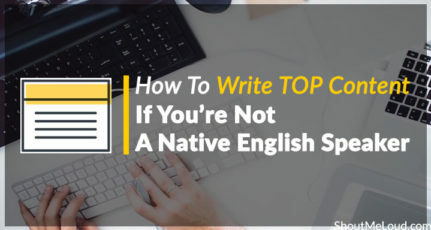 While writing plain English is no challenge, eliminating the nuances from one’s writing to get the message across adequately is a challenge for many. While the best of the writers can capture the attention of readers with their succinct description of events, most of them struggle to find words or phrases to perfectly fall in place with the content. Writing aptly is a skill and it goes beyond the simple use of grammar in your prose. While grammar forms an essential aspect of writing, there are more aspects of writing which must be taken off while working on it. Overuse of cliches, adverbs, bulky phrases, etc is some of the examples of poor writing and something which needs to be addressed. Writing is a form of art and like every other form of art, it takes time and perseverance to see through the toughest challenges you face while writing. Improving your writing skills broadens your horizons in both your personal and career-related pursuits. To help you improve writing skills in English, we have collected some of the best web-resources dedicated to this mission. Here are the top 11 Best Websites to improve your writing skills in English. Grammarly is easily one of the best online resources to significantly improve your vocabulary and writing skills. Grammarly is basically an online word processor, which goes beyond your ordinary word processor in correcting your English mistakes. Grammarly fixes over 250 types of English errors, which the Microsoft Word application could not correct. The app also suggests synonyms for your chosen words to improve the context of the phrase. 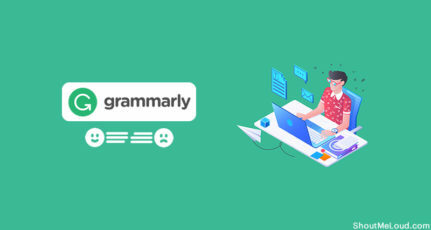 Since Grammarly app is also available for your web browser, you can simply install the extension and have Grammarly edit all of your Emails, social media posts or any content that you create from your web browser. The spell-checker and vocabulary enhancer are the standout features of Grammarly that will definitely make you a better writer over time. Although Grammarly is offered as free installation, a premium plan also does exist which costs around $29.95/month. Grammar Girl is one of the best web resources to help you improve your writing skills online. Although now renamed to QuickandDirtyTips, Grammar Girl is how this blog is known well. Mignon Fogarty, who is behind Grammar Girl, is a very well-known personality with different books and mobile apps to her name. Grammar Girl offers short and friendly tips to help you improve writing skills on the web. All the complex Grammar questions are answered adequately and interestingly by Grammar Girl. Learn everything about English Grammar, from punctuation, vocabulary, writing style and other tips needed to make you a better writer. Although QuickAndDirtyTips now does cover a wide range of topics, Grammar Girl was solely dedicated to the act of making English grammar easy for everyone. Universities often have their very own writing centers on-campus to help people with their writing skills. Purdue University’s Online Writing Lab, or better known as the Purdue OWL is an online writing center dedicated to the mission of helping people with their writing skills. Purdue OWL provides users worldwide with their writing resources and guides. This website targets all of the common English grammatical queries arisen by people with their second language as English. Tackling issues like Writer’s block, development of an outline, thesis writing, proofreading, etc are some of the topics covered by Purdue’s OWL. The website also is home to the APA and MLA style guides which are used worldwide for publishing thesis and dissertations. Divided into two sections – General writing and the Writing process, both of these cover issues that most of the people face while writing in English. The Thesaurus is one of the vital tools that every good English writer has in their arsenal of tools for writing better. Building on your vocabulary is essential in becoming a better English writer and Thesaurus offers just that. Thesaurus helps users in becoming a better writer by providing alternative words and phrases to perfectly expressing yourselves in written English. Thesaurus offers the best collection of synonyms and antonyms that you could use to improve your vocabulary while writing in English. Whatever your message might be, if you are looking to simplify your written English, Thesaurus will come to your help often times. This website also has a collection of some of the most overused words that you must avoid in your written English. Sharpen your English skills with this one powerful online and mobile application tool. The Hemingway App is a wonderful web-based and desktop standalone software to help you edit your written English. The Hemingway App tackles a lot of nuances in English writing, like very complex sentences, uses of passive voice, overuse of adverbs, and much more. The standalone desktop software for Mac and Windows costs $9.99. The Hemingway app also provides a readability score for the entered text, which you could use to analyze the structure of the content you’ve written. Using Hemingway App, all of your wordy sentences are highlighted in yellow and extraneous content highlighted in red. If you are looking for professional online workshops to improve your English writing, Writer’s Digest University have the best of them. Writer’s Digest University initiative provide users with online workshops to improve their fiction, non-fiction, short stories and freelance writing work. Offering 76 online workshops across a huge range of topics, Writer’s Digest University’s courses come at a hefty price. With courses starting from $139 to going as high as $700, these courses will help you achieve the levels of a skilled writer. Taught by professional and published authors, Writer’s Digest University offer some of the best online workshops. 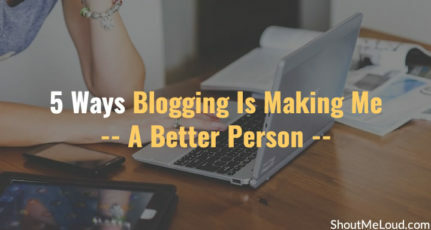 You can also browse through Writer’s Digest blog to receive latest updates and tips on writing better for free. Grammar Book is another one of the best online resources to help you improve your writing skills. From punctuation rules to grammar quizzes and blog posts, Grammar Book has it all. The Grammar Book’s blog gets constantly updated every Tuesday with a new blog post about a grammar issue. Participate in the Grammar quizzes to improve your English grammar skills. This website also offers ‘The Blue Book of Grammar and Punctuation’, to help you become a better English writer. Your writing has to build a connection with your readers, or there is no point in your writings. Take any of your favorite articles on the web, these articles have the best prose and text layout, which only make you read more. Readability is an aspect of writing which many writers fail to take note of. No matter how grammatically correct maybe your sentences, taking the readability factor into consideration is essential in writing better English. Readability-score is an online resource that helps writers calculate the readability scores of their entered text. On a scale of 0 to 100, this tool rates the content you entered for its readability factor, the higher your score, the better is your content. Content in English is broadly classified into two types – Active and Passive voice. The active voice is the one that is more concise and straightforward. Use of passive voice more often hampers your written English to a huge extent. Aztekera offers a free online tool that helps you look out for the ‘To be’ verbs, that make up a passive voice phrase. Use this tool to eliminate the passive voice phrases in your writing. The excessive use of passive voice might be the reason for the non-persuasive tone of your writing. Get rid of such form of writing using Aztekera Passive voice checker tool. Grammar Monster is one of the most resourceful tools on the web to help you with improving your writing skills. Whatever might be that you are trying to learn regarding English grammar, Grammar Monster has it all. With free resources in punctuation, apostrophe’s, commas, prepositions, adverbs, adjectives, etc., Grammar Monster features hundreds of articles across all of the said topics. The easy-to-learn chunks of information presented on Grammar Monster make it one of the best online resources to improve one’s writing skills. Available entirely for free, anyone can make the most of the basic and the higher level English grammar skills listed on this website. Pro Writing Aid is one of the industry-standard text editing software, available as a free version for web interfaces. Edit your text online for up to 3000 words with their free web tool. Pro Writing Aid features some of the key aspects to a powerful text editing tool. This tool checks the entered content for plagiarism, usage of vague/abstract words, alliteration analysis and more, in addition to the regular spell-checking and other grammar tools. Used by professionally published authors and editors, Pro Writing Aid is the best tool to amplify your English writing skills. So, as we come to the end of this list of the Best websites to improve writing skills in English, which ones were your favourite? Have any other suggestions that would make a great addition to this list? Feel free to shout out your thoughts and comments below. Thanks for the awesome article. I personally like Pro Writing Aid which is great tool i used all the tool after reading the post and i am really impressed with it. Thanks for the great article on writing skills. I have gone through these websites, they are really helpful to make good writing habits. My favorite one is Grammarly.com because it’s free & easy to use. It checks your grammar & other factors even during writing the article. It also has a free firefox extension which helps you to check the same even during writing on websites. Nice Blog. Thanks for sharing a list of all tools for improving English. I personally used Grammarly, it’s a really useful plugin. this is very useful article. Because some peoples asked me how to improve our english. So i told the peoples about this link.